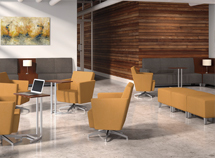 Office Furniture and Office Design That Reflects Your Brand and Increases Productivity. Workspace Solutions is busy every day solving the office furniture and space challenges of businesses, both large and small. The answer might be as simple as a desk, office chair a filing cabinet, or incorporating new and used office furniture, or as complicated as the design and layout of an entire office building. 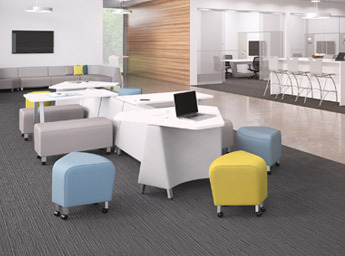 It might require innovative styles and designs to perform specialized and unique functions, or a way to combine existing, new, and used office furniture to meet tight budgets. Workspace Solutions carries a varity of adjustable-height stand-up desks including electric standing desks and standing desks converters. View all of our adjustable-height options. While you can get new or used office furniture at locally-owned Workspace Solutions, we do more than sell office furniture... we create spaces. At Workspace Solutions, we know that quality matters. Our office furniture comes from some of the world's top manufacturers. 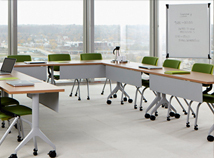 Workspace Solutions has designed and installed office furniture for businesses all over the country, but focuses mainly on Indiana, including Indianapolis, Fort Wayne, Warsaw, Marion, South Bend/Elkhart, and surrounding areas. Visit our new office furniture store in Fort Wayne or contact our Warsaw, South Bend or Indianapolis office. 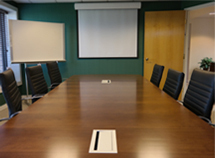 We look forward to helping you meet your office furniture and space needs.